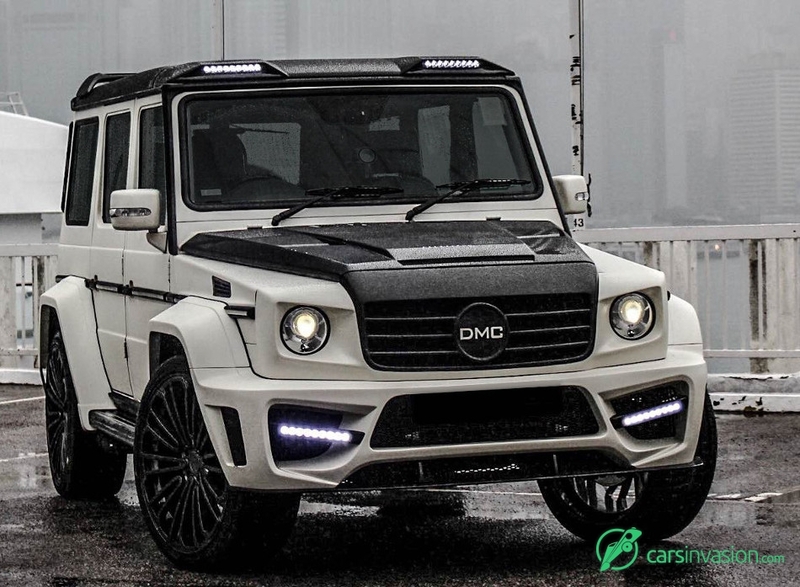 According to greek mythology, mighty god ZEUS won an epic battle and killed his father GRONOS: Introducing the 880 hp G65 "ZEUS", a Limited Edition (10/10) Series by DMC. 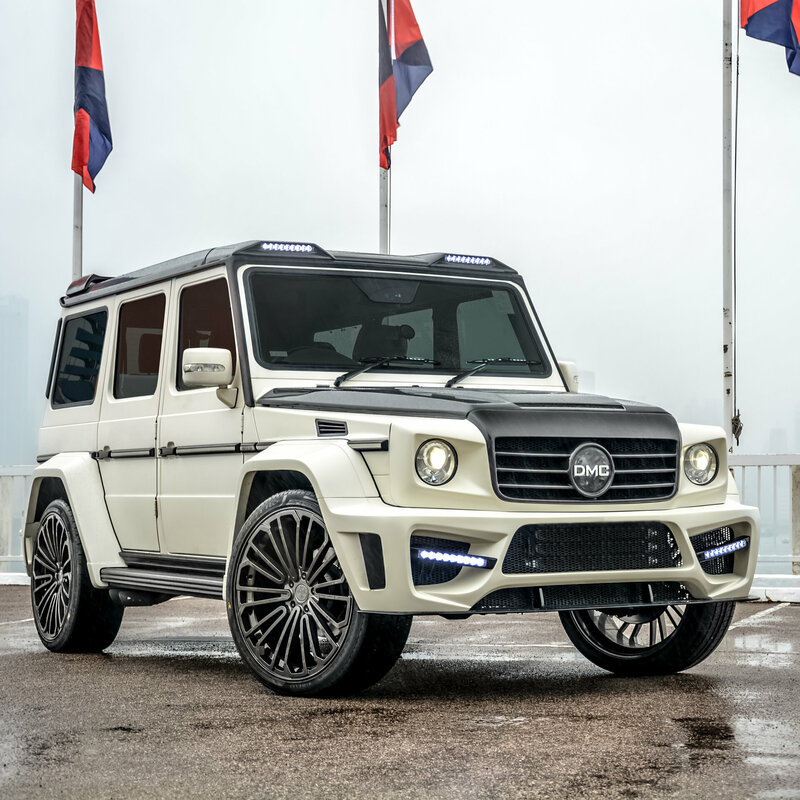 The market for G Wagons seems to be quite saturated. But upon close look, most offers target the general Gelandewagen. 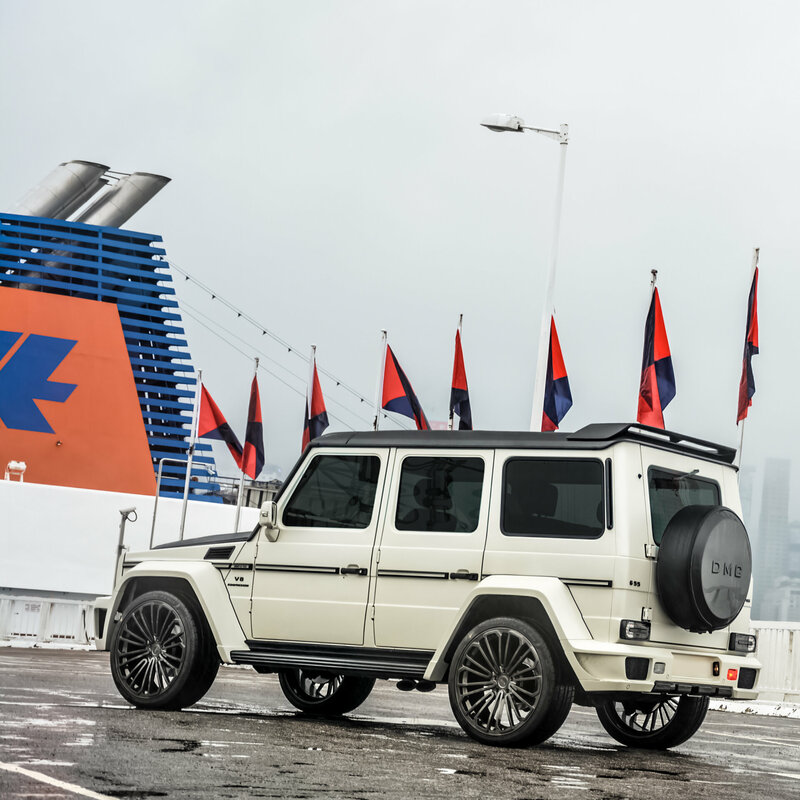 Only two brands seriously share the attention of AMG G63 owners, namely Brabus and Mansory, until now. 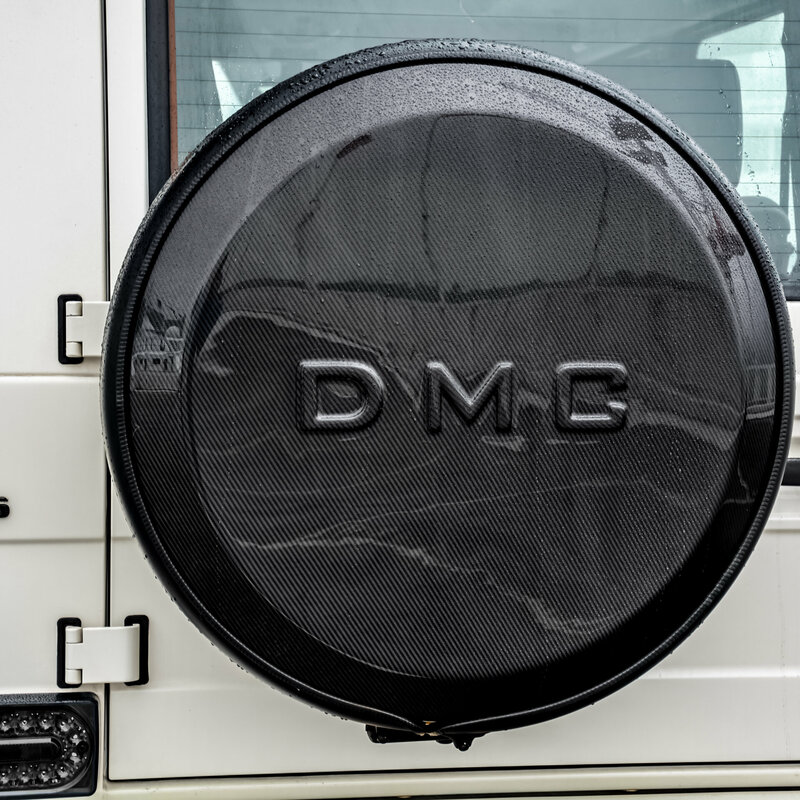 DMC enters this high-end segment with their all carbon-fiber, wide body package for the G65, and sets the bar even higher by offering a 880 hp package. Starting at the front, we find a new innovation, never seen before on a G: Angry eyes. The designers were able to integrate angled lines that give an aggressive look to the front lights, the bumper scoops and it's LEDs. Interestingly, the whole fascia is now one combined carbon fiber unit, white the regular G seperates it's center grill, surrounding frame and two light housings aside. It's smooth integration with the all carbon fiber hood creates a power house that gushes an unwavering commitment to quality. 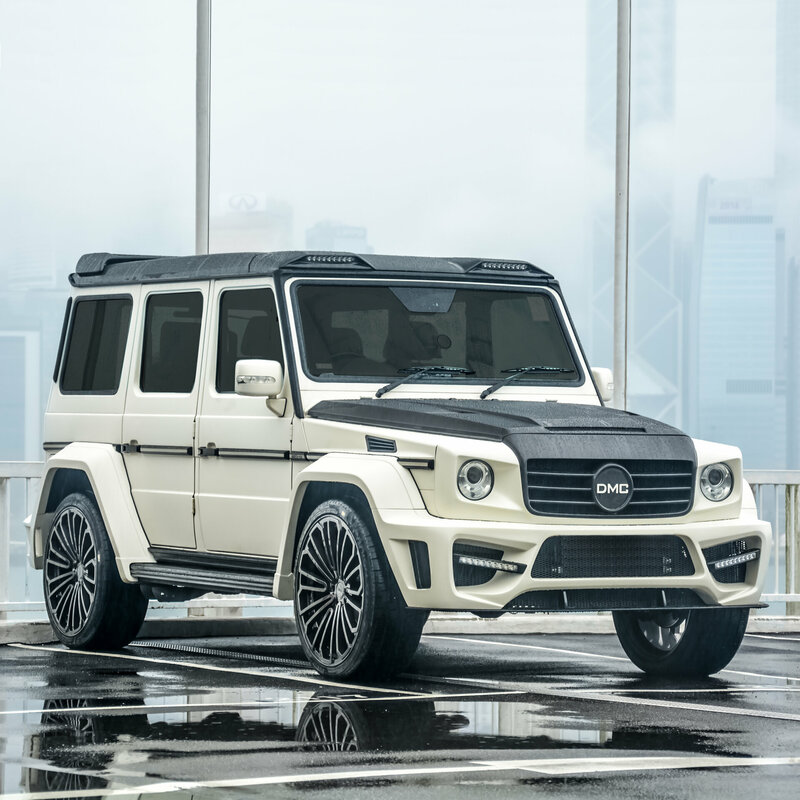 The wide body package creates the widest G Wagon seen yet with German TUV certified license. It consists of a wider bumper with aggressive design, wider fenders, and a new wider rear bumper. 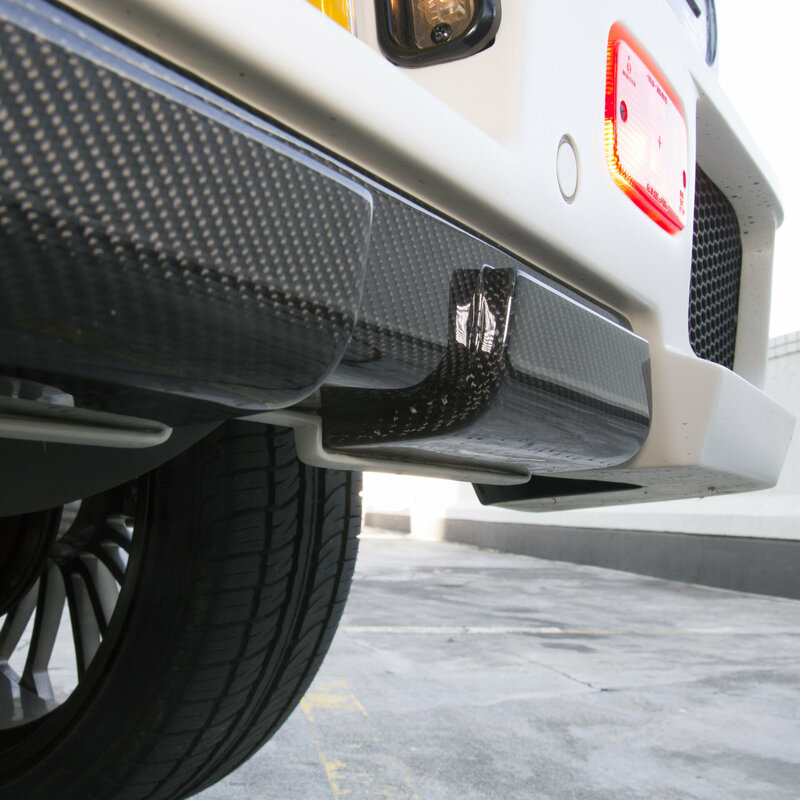 While the car shown has been painted, we'd like to point out that these parts are in fact 100% carbon fiber, giving you the choice to have an all carbon fiber Mercedes Benz AMG G Wagon! 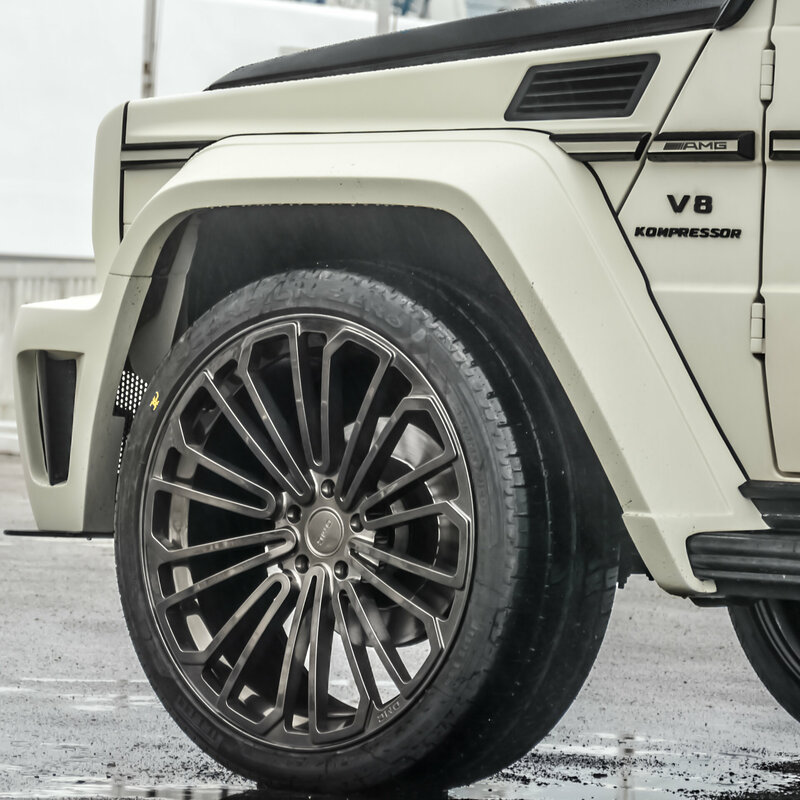 Coping for the new width, DMC has created a stunning set of 24″ Forged Aluminium wheels. You can choose a set of 4 cm spacers if you already own wheels, or get the company to make 285 ultra concave rims. Currently the car features a set of Pirelli tyres on 24×10 sets. They are so big that you could loose small children in them. Did we mention that there's carbon fiber? Wait, there's more! 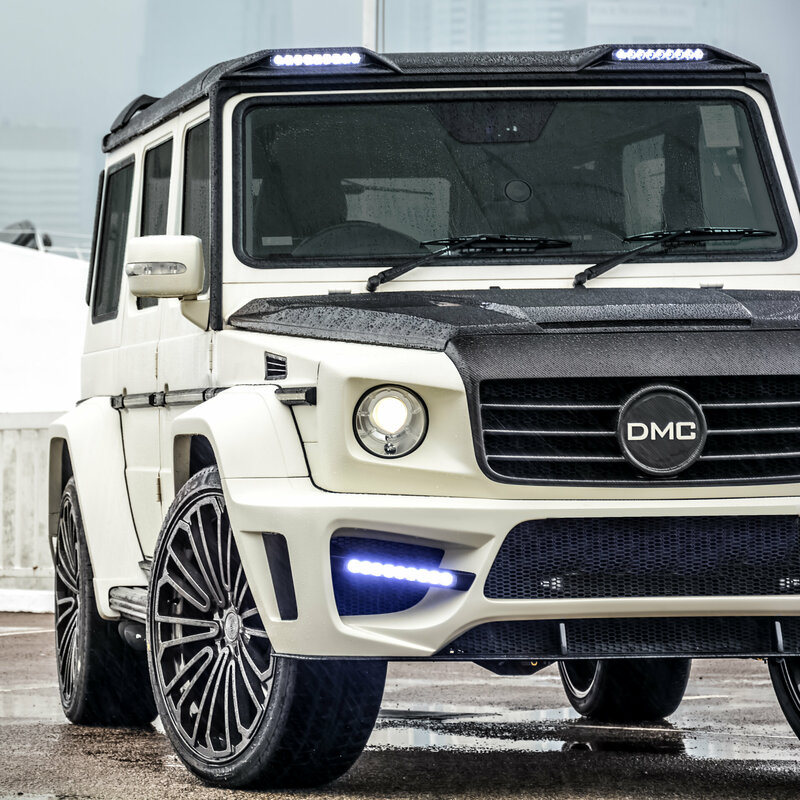 The whole roof is made of the stunning material that DMC's German Engineers love so much. To top it off, it features a rear wing and spoiler combo at the rear, and a set of Night-LEDs at the front. You could literally join a Safari with the 3 sets of lights at the front. We took the car for a nightly test drive, and the sudden FLASH actually shocked people when we turned on all sets at the same time. Setting the competition aside is also the new manifold exhaust system and the 880 hp engine performance kit. Imagine that DMC took all pistons, connecting rods, bearings, crank shafts, crank, cylinder heads and more, back to the drawing board. The result is not only a brachial sound that scares your neighbourhood just upon starting the engine. 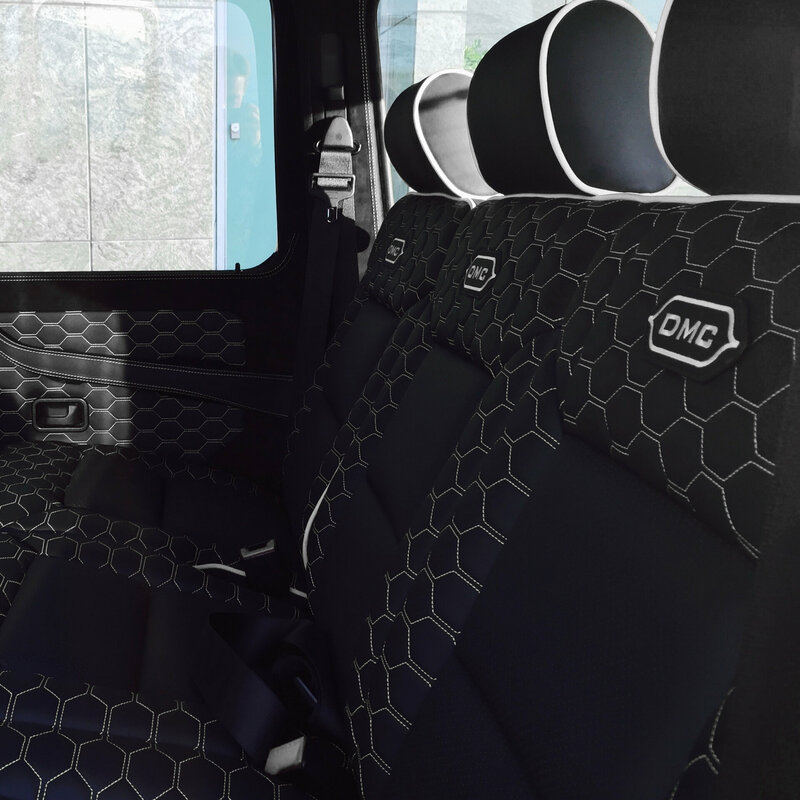 The tip of the ice berg is DMC's custom interior customization program. The sky is the limit when it comes to the exclusive client's desires. From rare italian leathers like ostrich to alcantara, with extravagant stingray integrations, and even more carbon fiber, everything is possible. Ofcourse the company's traditional DMC brand can be fould all over it, taking pride in the work that is dictated by it's founders passion. 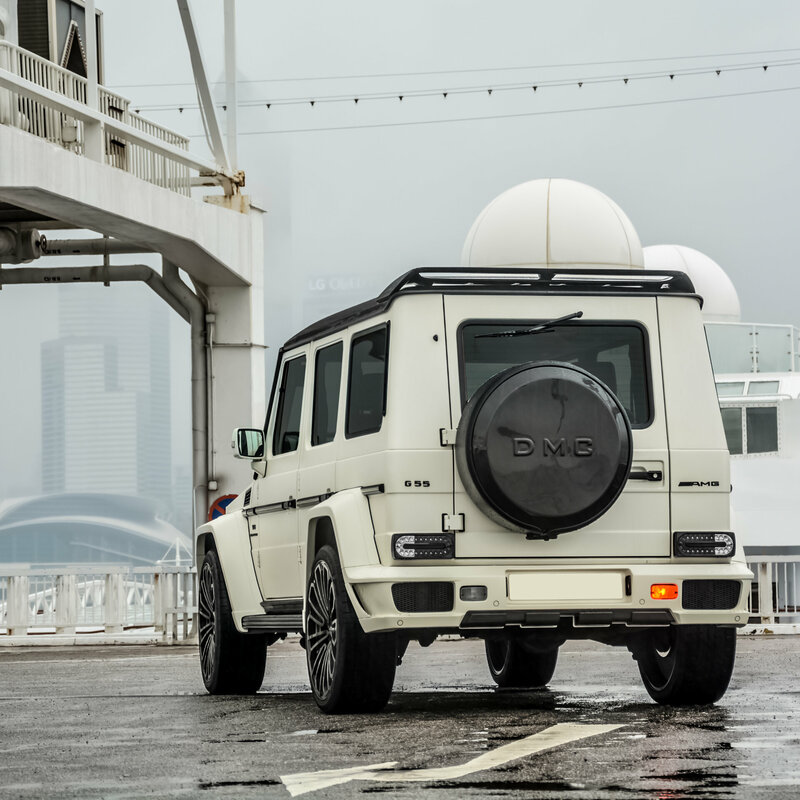 The owner of this first Kit chose to install the package on a G55, it fits any G Class back to 1979 (For Example G300, G500). 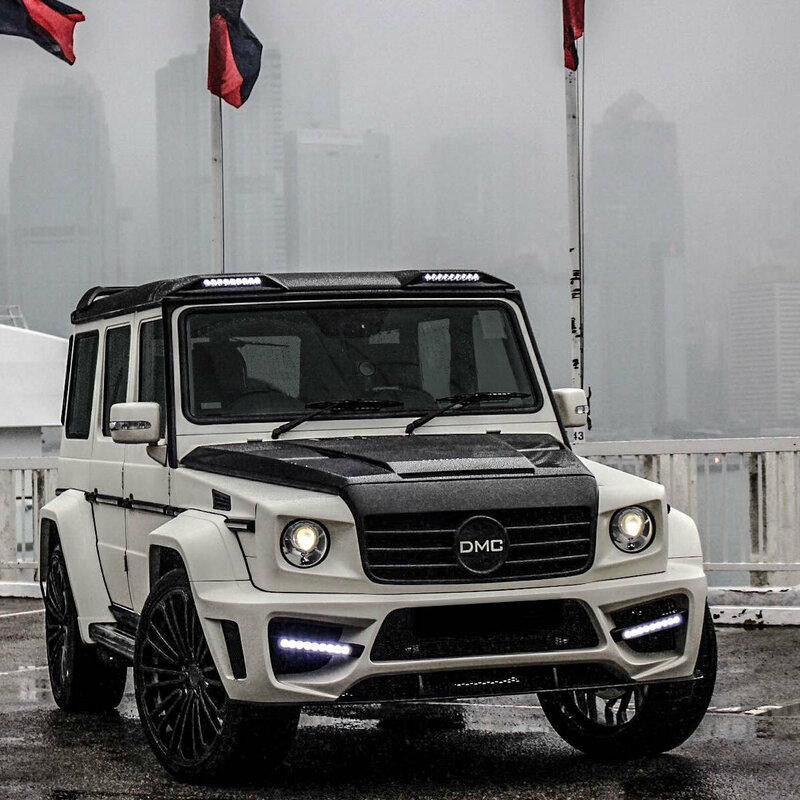 The car was exclusively unveiled in Hong Kong. There are two videos below: One is showing a brief 15 second review of the event (about 100 super cars witnessed the launch) and the other is a behind the scenes introduction of the car, enjoy!